As you might probable know in a side wind, most kayaks have a tendency to turn into the wind. This is called weathercocking. It is very obvious in sit on tops due to their size but also on several sit in kayaks. NDK boats usually weathercock very little and is a joy to paddle them in long expeditions as weathercocking can be really frustrating when you have to cover many miles with the wind on the side. Also bare in mind that on long trips where the kayak is fully loaded will have an affect on tracking if is not loaded properly. Apart from weathercocking we have also the opposite which is called leecocking. Loading wrong your kayak and it will have the tendency to turn downwind. You can resist weathercocking by paddling a bit harder on the upwind side, or doing the occasional sweep stroke on the upwind side. If this doesn’t help or you are getting too tired, you can try changing your grip so the paddle is extended more to one side than the other. This is very common to those you are paddling with a Greenland style paddle. The use of skeg or rudder however will be the way to go. Last but not least to be able to handle a sea kayak in winds it is essential to understand how the boat is affected by the wind and why which I will explain in an another article soon. 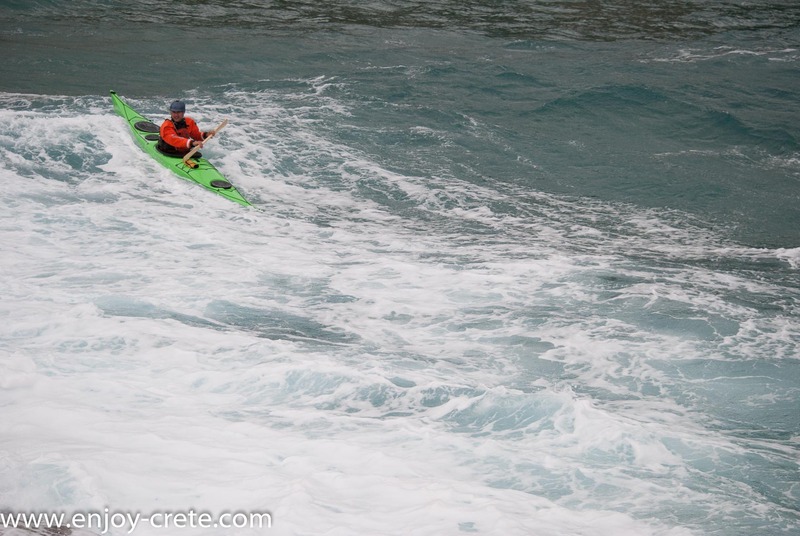 Our sea kayaking expeditions in Crete, Greece are a great test for boat tracking as most of them especially those in the south coast face strong katabatic winds.